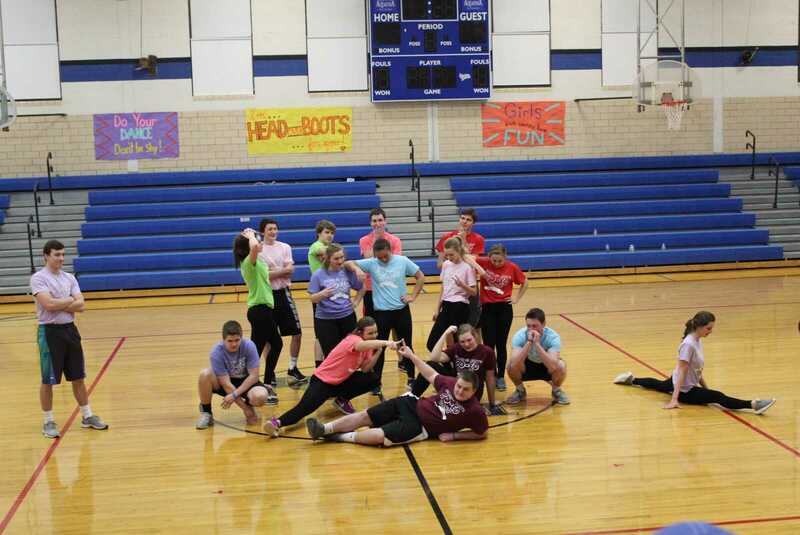 By: Miranda Loutsch, RSM Journalism On March 4, the Remsen St. Mary's Dance Team hosted their annual Dance Night. 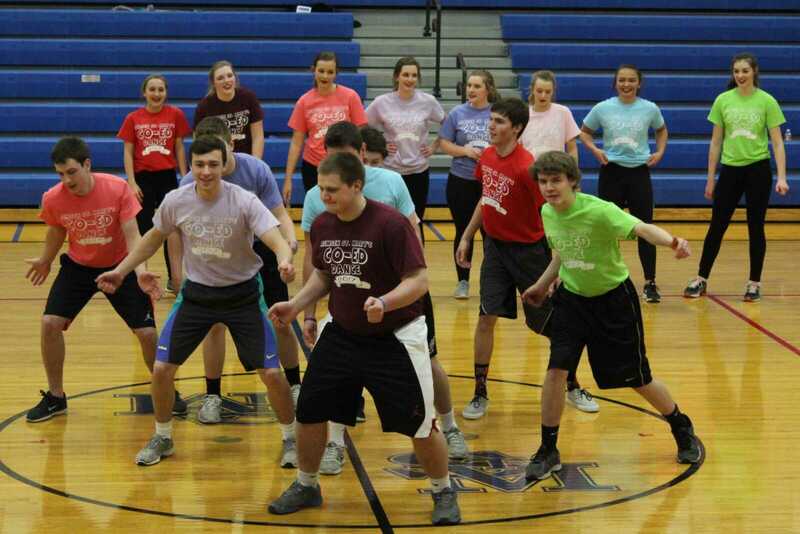 During this event the team performed all of their routines from the year as well as a added coed routine and routines performed by the grade school kids who come to Dance Camp during the afternoon. 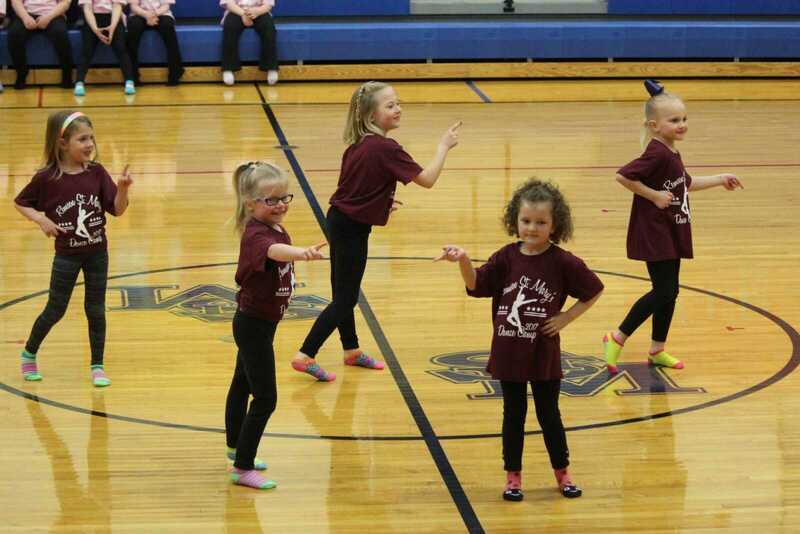 The Gehlen Catholic and MMCRU dance teams also brought two routines as well. Junior Veda Pick said, "It is the best but most bittersweet day of the entire season because it's a great fun filled day but no one wants the season to end." The dance team had a busy day. In the afternoon the grade school girls come for an hour to learn their dances. The TK and Kindergarten girls did a dance to "Girls Just Want to Have Fun". The 1st Grade had a fun time dancing to "Head Over Boots". The last group of little girls, 4th, 5th, and 6th grades did a funky routine to "Does Your Mama Know". After the grade schoolers left the boys who were in the coed dance came in and practiced their routine. They danced to a mix up of popular songs. Those couples for coed were: Mallory Behrens and Michael Koenck; Kaylee Galles and Matthew Begnoche; Abby Tentinger and Tom Ahlers; Katlin Harvey and Robert Russell; Veda Pick and Kenny Bohnenkamp; Miranda Loutsch and David Grady; Sydney Lewis and Parker Bohnenkamp; and Bailey Penning and Wyatt Staab. "Coed was fun because it was interesting to practice with the girls and see how easy it was to them." Said David Grady. For Senior Mallory Behrens it was her last time performing at Remsen St. Mary's. She said, "I would say dance night went super well! We danced every dance to the best of our ability and coed was lit. It was a great way to end my dance career." RSM Dance Team had a very fun and successful season from dancing at home basketball games to placing third in the Jazz category at State Competition in December. The girls are excited to see what is in store for next year.